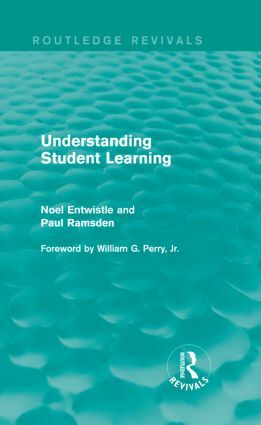 First published in 1983, Understanding Student Learning provides an in-depth analysis of students’ learning methods in higher education, at the time. It examines the extent to which these learning methods reflected the teaching, assessment and individual personalities of the students involved. The book contains interviews with students, experiments and statistical analyses of survey data in order to identify successes and difficulties in student learning and the culmination of these techniques is a clearer insight into the process of student learning.